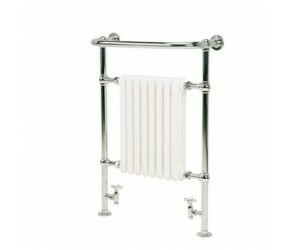 Towel Rails were once the preserve of only the most luxury bathrooms, and our range of Traditional Towel Rails certainly represent that period well. Elegant, sophisticated and timeless designs work brilliantly in all types of bathrooms and kitchens, including modern and contemporary bathrooms and kitchens. As well as looking stunning, these towel rails also serve a very important function – they keep towels both dry and hygienic, as well as helping keep the room they are in warm. A number of finishes are available, including Chrome, as well as White and Chrome – and many have contemporary twists on classic designs. 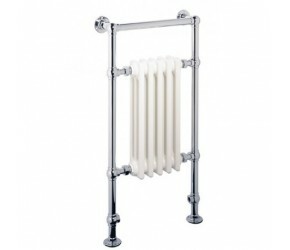 A lot of our favourites feature a column radiator in the middle of the towel rail, with a chrome surround for hanging towels on. All have been handpicked form just a few brands we represent, including Eastgate, Kartell, Phoenix, Reina and Eastbrook. We have found that these brands all combine the elements important to us – excellent product design and quality, with a sensible price point. 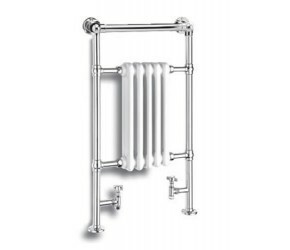 There’s almost thirty traditional towel rails in stock, so do browse the range and if you have any questions – please just let us know.